Can your messes wait until the sun sets? If not, day porting janitorial services might be what your facility needs. 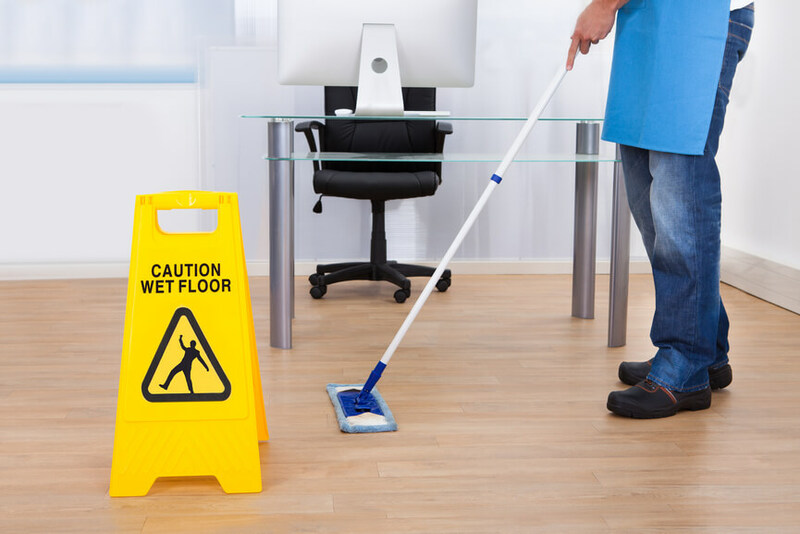 Many offices and facilities employ janitorial services to come in at night and empty trash cans, vacuum, mop, dust and perhaps clean the kitchen. If you have a small, tidy office staff, this might work for you, but the more people, the bigger the messes, especially if you have customers in and out of your facility all day long. One type of facility that is most in need of day porting services is any that serves children. Kids are naturally messier than many adults, and their propensity to spread germs and put everything in their mouths makes for a sticky, bacteria-laden environment. This is one reason schools employ full-time janitors. Other facilities that also greatly benefit from day porting include day care centers, indoor play spaces, pediatric doctor and dentist offices, and any other kid-focused business. Floors need to be swept of crumbs and dirt as well as mopped, and counters, doorjambs and any surface less than three feet from the floor need to be wiped with an antibacterial agent. Like painting the Golden Gate Bridge, as soon as you get to the end, you have to start again. This is a never-ending job, so you must have someone on it at all times. Larger facilities like retail outlets that attract a lot of foot traffic are also often in need of day-porting services. Shoppers can drop items that break or spill, and messes like this need immediate attention, not just so your store looks clean, but to avoid any slip-and-fall accidents and the resulting liability claims. Even if you operate a clothing store or other dry-goods-type business, customers can bring items in with them that leave a mess. Many people today are rarely seen without a cup of coffee or a Big Gulp at the end of their arm, and toddlers in strollers can leave a trail of destruction behind them that includes cereal, crackers, sticky red juice and more. Day porters at a retail facility often have to do double-duty cleaning up after the employees as well. Even tidy employees generate trash and dirty dishes in the break room, and locker rooms need to be swept and cleaned as well. Clean bathrooms are important not just for aesthetic reasons, but as a good business practice as well. Your public restrooms are only as clean as the people who use them, so they generally need frequent touch-ups. It’s critical to have all your restrooms — public and employee — stocked with plenty of toilet paper, soap and towels at all times. No one wants to be caught without one of these items. Frequent emptying of the trash is necessary as well, so avoid dirty towels spilling onto the floor. If your daytime cleaning needs are exceeding what you and your employees can reasonably handle, call BearCom Building Services for daily business cleaning services in Salt Lake City and the surrounding area. They can provide you with a friendly, hard-working commercial floor cleaner and other janitorial services to keep your building in tip-top shape all day long.